Have you, or someone you know, ever had an acupuncture treatment, attended a T’ai chi class, or taken Ginko Biloba to increase memory? All of these are considered complementary or alternative medicine therapies, sometimes referred to as CAM. If you have not incorporated CAM therapies into your health routine or regimen, you likely know someone who has. Use of complementary and alternative medicine (CAM) has seen a sharp increase in the past decade. The National Health Interview Survey, a nationwide government survey, found that 38% of U.S. adults reported using complementary health approaches. Increase use of these therapies is also on the rise among older adults. A study conducted by the University of Minnesota showed 62.9% of older adults used one or more CAM modalities. So what specifically is CAM? The terms complementary and alternative medicine and therapy are used interchangeably but there are differences between the two terms. Complementary medicine includes practices and products that may be used in addition to conventional medicine. For example, if someone is getting chemotherapy treatments, they may use aromatherapy or meditation techniques to alleviate nausea. 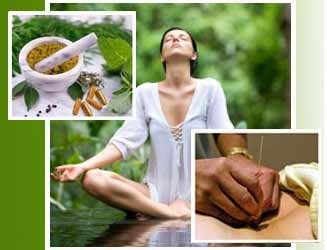 Alternative medicine and therapies, on the other hand, may be used in place of conventional treatments. Someone may choose one of these therapies to treat their cancer instead of getting chemotherapy treatments. Thinking of trying CAM for yourself or a loved one? Be sure to stay informed. Learn more before you consider incorporating them into your health routine. Even if a supplement or therapy is “natural”, it doesn’t mean it is safe or free from side effects. You will want to see if research has been done on the particular supplement or therapy you are considering. The National Center for Complementary and Alternative Medicine, NCCAM, has a website with a comprehensive list of CAM therapies and links to additional informational sources. Lastly, make sure you talk to your physician and pharmacist regarding any CAM therapies you currently are taking or planning to incorporate into your health regime. Together you can discuss options and decide if CAM is appropriate for your individual health plan. By: Susan Polka BSN, RN, CCRN. A registered nurse with over twenty years experience in health care. She has worked long term care, community health, acute care. and liver transplant. She currently works as a clinical educator and assistant director of an hospitable-based inpatient nursing unit. Adams P.F., Kirzinger W.K., Martinez M.E., (2012). Summary health statistics for the U.S.
Statistics. Vital Health Stat. 10(255). Cheung, C.K., Wyman, J.F., Halcon, L.L., (2007). Use of complimentary and alternative therapies in community-dwelling older adults. The Journal of Alternative and Complimentary Medicine. 13(9), 997-1006. Thank you Elizabeth. When I posted it, I actually thought of you. You are definitely the CAM guru. Happy you enjoy the post.